The composer, writer and pianist Peter Dickinson was born in Lytham St Annes, Lancashire, on 15 November 1934 and now lives in Suffolk. After Cambridge he spent three formative years in New York, initially as a graduate student at the Juilliard School, then as a critic on Musical Courier, and as a lecturer at Fairleigh Dickinson University. Since then, Dickinson’s music has been regularly performed and recorded by many leading musicians. His most ambitious works are three concertos – for organ, piano and violin – but there are other orchestral pieces, many chamber works, song cycles, keyboard music and choral pieces. Dickinson’s music is now well represented on CD (three Naxos and six Heritage), including two orchestra CDs, his complete organ music and the composer performing his own piano music. As a pianist, Dickinson had a twenty-five-year partnership with his sister, the mezzo Meriel Dickinson, their recordings including American Song, and British Song. Dickinson’s literary interests are reflected in settings of poets such as W. H. Auden, E. E. Cummings and Dylan Thomas as well as Emily Dickinson, Philip Larkin and Stevie Smith. His three concertos were released together on CD in 2014, including the first recording of the Violin Concerto with Chloe Hanslip and the BBC National Orchestra of Wales under Clark Rundell. They recorded six further orchestral works in 2015.Peter Dickinson’s books include studies of Lennox Berkeley (two), Billy Mayerl, Aaron Copland, John Cage, Lord Berners, and Samuel Barber. Peter Dickinson: Words and Music (Boydell, 2016) brings together over fifty years of his writings and studies of his own music. For over thirty years he was a regular contributor to BBC Radio 3 and is a critic on Gramophone. 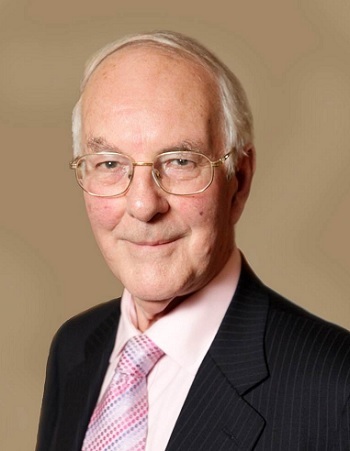 He is an Emeritus Professor of the Universities of Keele and London and is chair of the Bernarr Rainbow Trust, for which he has edited several books on music education.